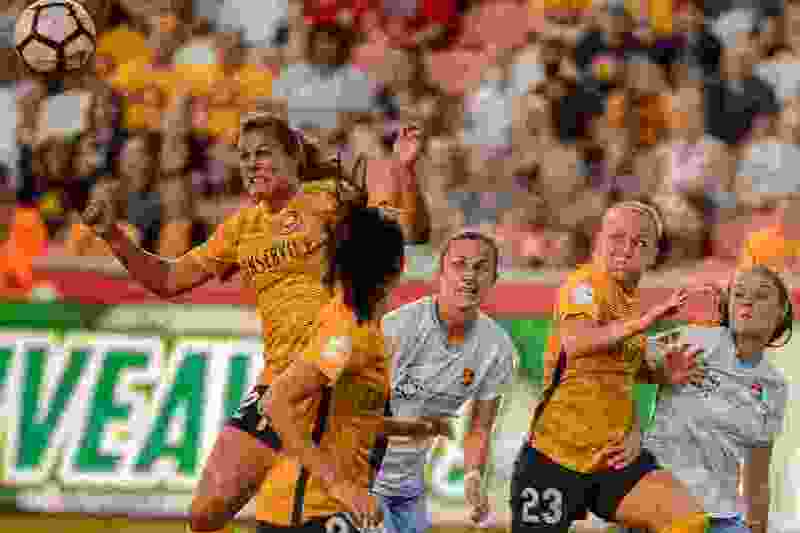 (Trent Nelson | The Salt Lake Tribune) Utah Royals FC forward Katie Stengel (24) heads in a goal as the Utah Royals host Sky Blue FC at Rio Tinto Stadium in Sandy, Saturday June 30, 2018. Kickoff • Saturday, 1:30 p.m.
About the Royals • They’ve won two straight — against Houston on the road and at home against Washington — and will be playing their third game in six days. ... Katie Stengel scored the game-winners against both the Dash and the Spirit. ... This game marks their first-ever Rio Tinto Stadium doubleheader with Real Salt Lake. After the afternoon match, RSL hosts Montreal at 8 p.m.